Topeka ? Democratic candidate for governor Paul Davis today named Wichita businesswoman Jill Docking to be his running mate in the campaign against Republican Gov. Sam Brownback and Lt. Gov. Jeff Colyer. 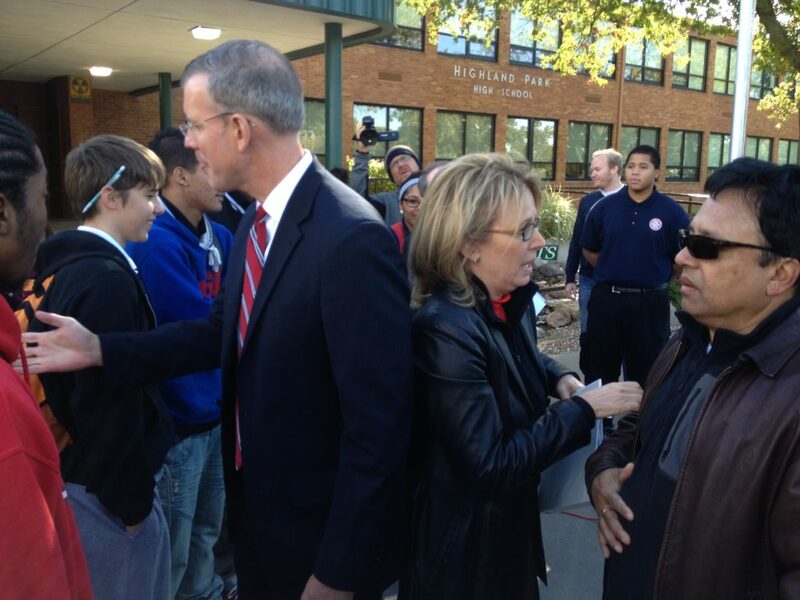 Jill Docking, left, Senate Minority Leader Anthony Hensley, D-Topeka, and Democratic gubernatorial candidate Paul Davis, of Lawrence, spoke Tuesday in front of Highland Park High School in Topeka. Davis and Docking, of Wichita, were on a school bus tour in which Davis introduced Docking as his running mate against Republicans Gov. Sam Brownback and Lt. Gov. Jeff Colyer. Jill Docking, a Democrat from Wichita, talks to a well-wisher after Tuesday's announcement that she will run for lieutenant governor. 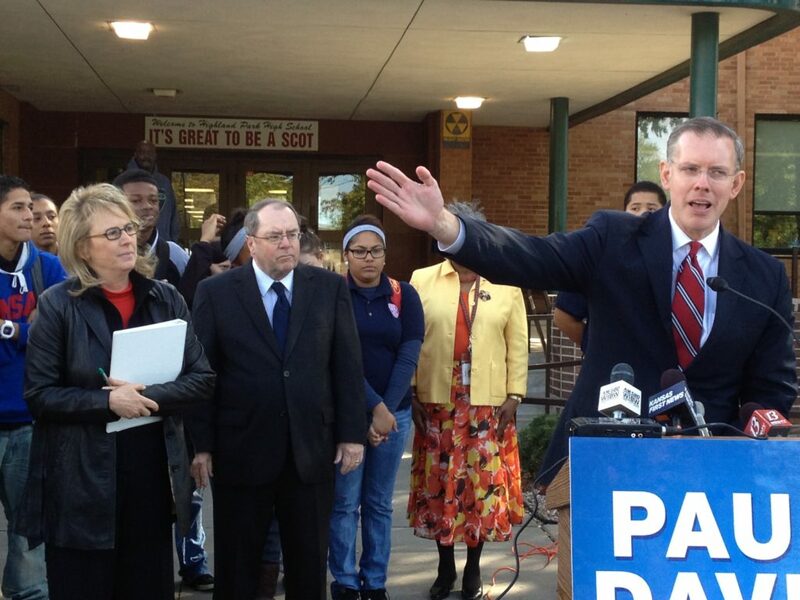 Democrats Paul Davis and Jill Docking work back to back after a campaign event in Topeka. Davis, who is running for governor, named Docking to be his running mate. The selection sets up a rematch of sorts: Docking ran unsuccessfully against Brownback in 1996 for the U.S. Senate. And the presence of Docking on a statewide ballot in 2014 puts the famous Kansas political name again before voters. Docking is married to former Lt. Gov. Tom Docking, who served from 1983-1987. Tom Docking’s father, Robert, and grandfather, George, both served as governor in the 1950s, 1960s and 1970s. 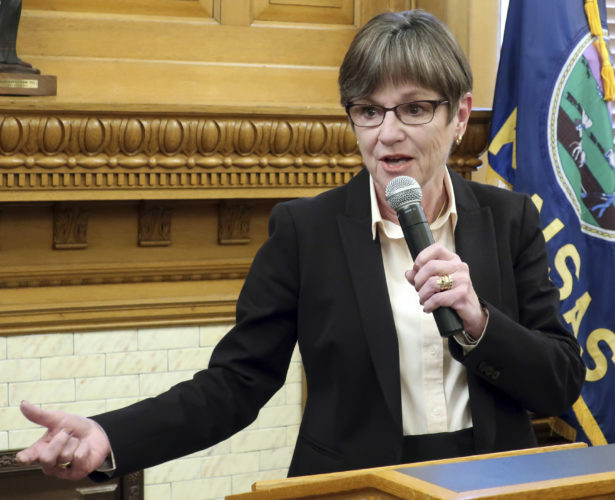 Jill Docking, 57, a financial adviser, has served as chair of the Kansas Board of Regents and writes a blog about politics in which she has criticized budget cuts to education under Brownback. Davis, 41, announced Docking as his running mate on a school bus tour with stops in Prairie Village, Topeka, Salina and Wichita. They said they traveled by school bus to emphasize that public education will be the cornerstone of their campaign. Davis said Kansans have a “moral commitment” to education funding. “It runs in our blood as Kansans,” he said. In response to the Docking announcement, the Kansas Republican Party sought to link Davis and Docking to President Barack Obama. “It is hardly believable — they are doubling down on the Obama agenda,” said State GOP Chair Kelly Arnold. “A substantial majority of Kansans have rejected the Obama agenda — twice. 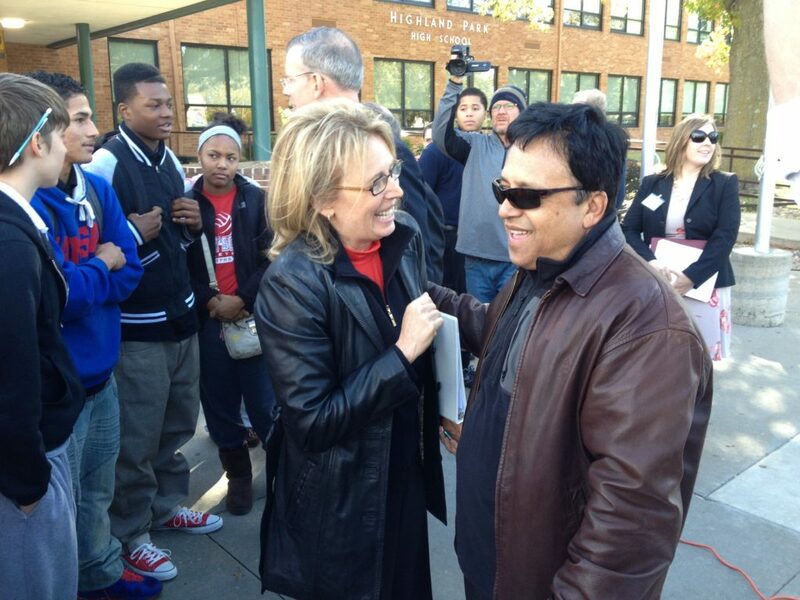 With this selection, Kansas Democrats are clearly going back to the past,” Arnold said. 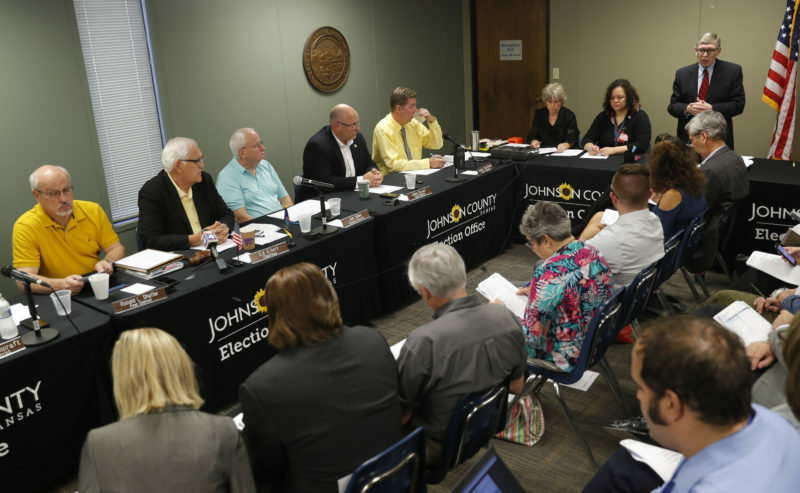 Davis and Docking said they would focus on state issues, saying Kansans are suffering from high property taxes, sales taxes, tuition, utility bills and cuts in education funding. 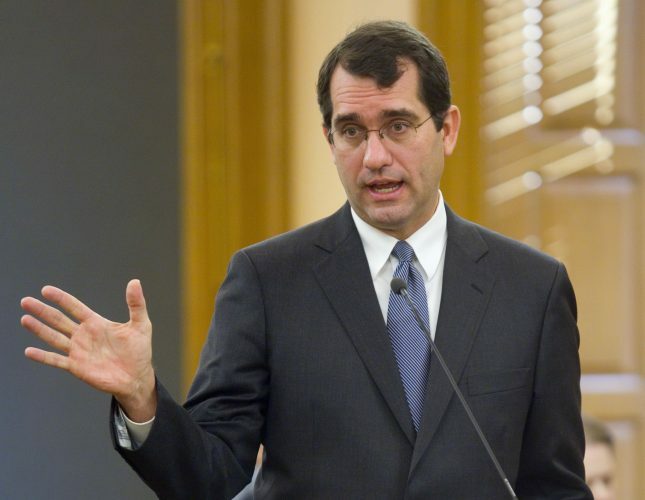 For instance, Davis said cuts to higher education signed into law by Brownback “didn’t need to happen” and caused a part of the tuition increases this year. “Sam Brownback toured the state saying how important higher education is to the state and how we can’t cut higher education, and then when it came down to crunch time, he just sold higher education down the river,” Davis said. Brownback has said he approved the higher education cuts because that is what Republican legislative leaders wanted, and he has said he will support restoring those lost funds in the next legislative session. 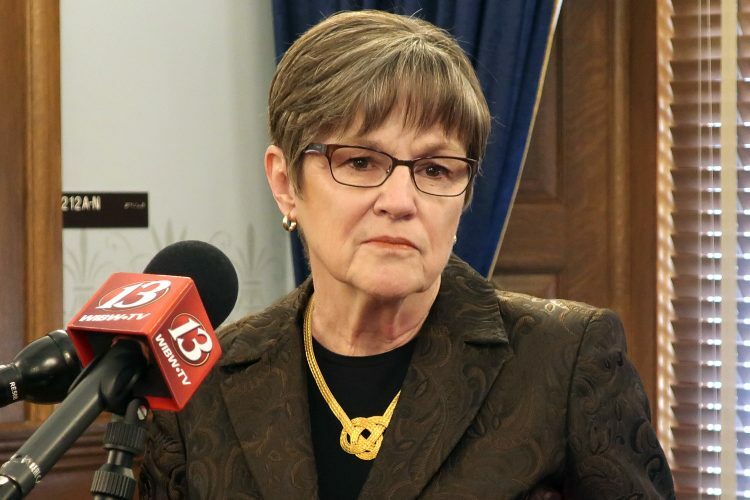 The selection of Docking as candidate for lieutenant governor brings a well-known Democrat from a different part of the state. Davis and Docking are hoping also to draw moderate Republicans and independents. 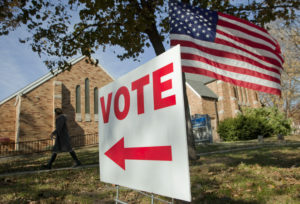 Of the state’s 1.73 million registered voters, Democrats rank third behind Republicans, with approximately 45 percent of registered voters; unaffiliated, 30 percent, and Democrats, 25 percent. In the 1996 Senate race, Brownback defeated Docking, 53.9 percent to 43.3 percent after an intense campaign for the seat that was vacated by Bob Dole, who was running for president.